Skyfire has announced that its flagship browser for both iOS and Android has been downloaded 10 million times, across 150 countries. Skyfire CEO Jeffrey Glueck calls the 10 million download level an exciting figure to have reached. The executive thanked all of the mobile users who have downloaded the app, saying that they have help support the company's goal of allowing users to see all video on the web in a way that saves money for those on limited data plans and at the same time, helps keep network pipelines open for inundated carriers. Skyfire says it is dedicated to using the cloud to help both users and carriers save money. 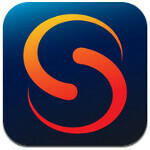 First launched in June 2010, the Skyfire app has proven to be very popular. Shortly after launch, both Skyfire for the Apple iPhone and Skyfire for the Apple iPad hit number one in the Apple App Store and its app for the Apple iPad has been the number one paid utility app for the last 10 months. 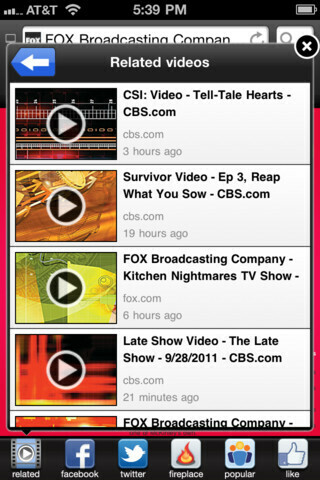 The Skyfire browser is the first software designed for the Apple iPhone that allows users to view videos designed for the Adobe Flash Player. Skyfire 4.0 for iOS offers a new feature, a video-recommendation engine that uses your past viewing history to make recommendations on videos to watch. The list of recommendations is available from the Video button on the Skyfire toolbar. Videos on the page currently being viewed show up first on the list. Skyfire even takes a look at what videos are trending when making suggestions. 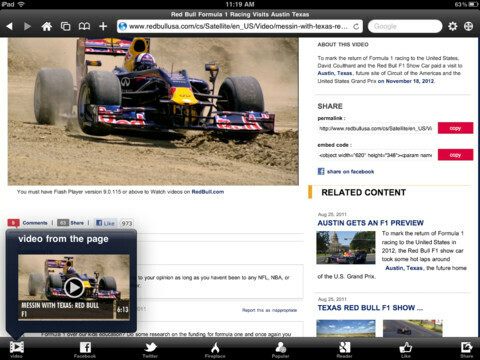 Consider it a Pandora for video clips. To download the new Skyfire 4.0 on your Apple iPhone or Apple iPad, click on the sourcelinks. The latter costs $4.99 to download while the iPhone version costs $2.99. And it doesnt work!!!!!!! I happen to try to use it tonight and its like an android phone. Force close! Go to app store for update and first thing they say is they knew there is a problem! Lol the average sheep DUMBASS. Go try a galaxy s 2 or Nexus prime (when it comes out) before u say stuff like that. I like skyfire on ios… it allows the few flash videos i want to see without always having flash clogging the browser… they did a gret job with it but i could have sworn they dismissed it in favor of some email in service? I haven't been too impressed. I have cloudbrowse which works on all websites and you can skip ahead and back. Works much better and is free. Thanks for the tip taco. I love skyfire and will try out cloudbrowse and see how it compares. Its going to be tough to beat no doubt. Although it does cost 3 dollars and have a twi star ratting so maybe i will save my 3 bucks. Hmm it was free when I got it. Must have started charging. The first sentence reads 10 million downloads in 150 countries,not 150 million countries.Time for a new prescription?